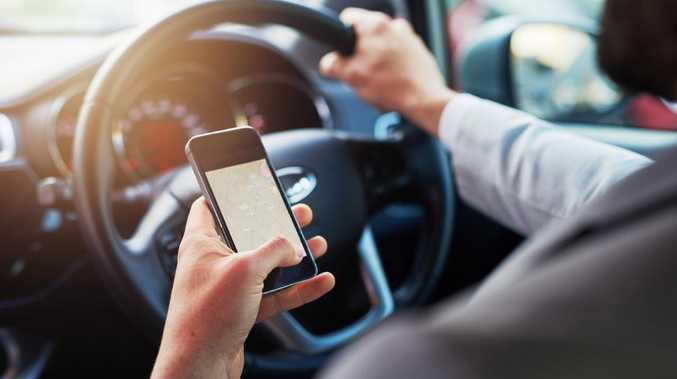 DISTURBING new data suggests there is a certain time of day when Aussie drivers are more likely to use their phones behind the wheel and it's at a time when being distracted for even a second could have very serious consequences. 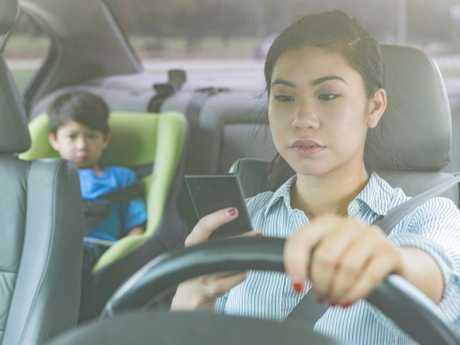 Research conducted by safe driving app, UbiCar, found there was a huge spike in drivers using their mobile phones between 3pm and 4pm - when children were being picked up from school. During October about 800 motorists had their driving data recorded as part of Sydney's Northern Beaches Safest Driver competition. The UbiCar app monitors a driver's safety performance by looking at factors such as speeding, phone distraction, cornering, acceleration and braking. The results found that more than 70 per cent of drivers used their phone behind the wheel, with the frequency of phone distraction three times worse during school pick up time. Co-founder of UbiCar, Carolyn Batterton, said many drivers didn't even realise how often they were being distracted by their mobile devices. "Only 22 per cent of (motorists) felt they used their phone while driving yet in reality 73 per cent of drivers did," Ms Batterton said. "Phone distraction was three times as bad between 3pm and 4pm compared to other times in the day with two-thirds of those responsible for phone distraction were females." The competition did produce some positive results though, with phone distraction reducing significantly over the monitoring period. "Phone distraction improved over the course of the competition with a big reduction, top drivers massively reducing phone usage within 14 days," Ms Batterton said. "Many people don't realise how often they check their phones while driving but when a trip is completed the UbiCar app shows drivers where they were distracted by their phone, so they become more aware and mindful not to reach for the phone when stopped at lights or in slow traffic." 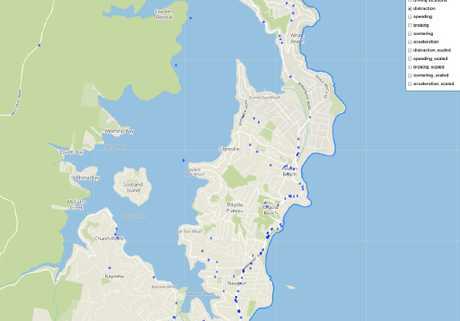 Maps created by UbiCar show some of the main areas where drivers would reach for their phones. The driver performance between males and females was almost evenly split, but there were a few key areas where one gender came out on top. The data showed male drivers were more skilled at smoother braking and accelerating, while females were better at cornering and maintaining the correct speed. Mum-of-two Cerian Brondum from Bilgola Plateau, who won the competition, said being aware of how much she checked her phone in the car made her focus on the road more. She said the excitement of the competition also sparked a conversation with her children about road safety. "My 13 and 11-year-old children know the road rules better than most drivers as this competition triggered their interest in road safety and seeing my name on the leaderboard led to lots of squeals of excitement," Mrs Brondum said. "Not only is it interesting to find out if you are as good a driver as you think you are, but it brings out a competitive streak I didn't even know I had and a lot of family fun."